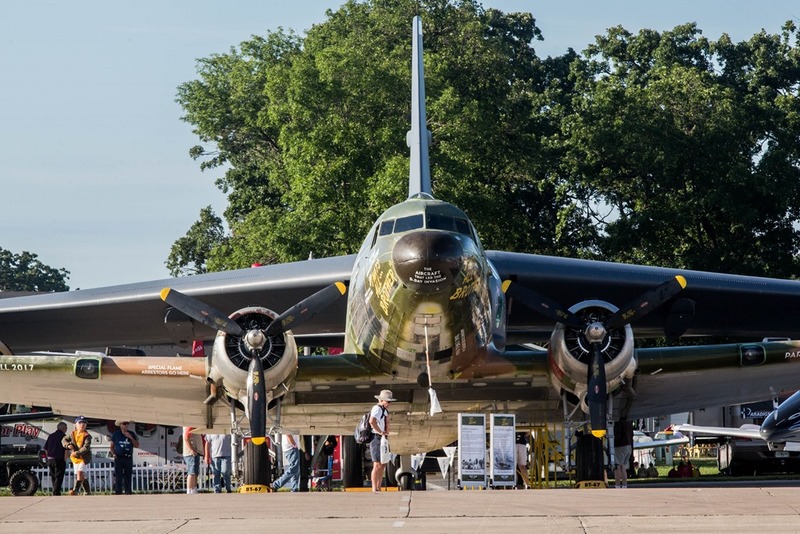 For about a month that follows EAA AirVenture, the most popular question posed by friends and acquaintances is What is the most interesting airplane you saw? This has always been the question since I attended my first Oshkosh convocation in 1978, and I’m sure it will continue until I can no longer perambulate the flight line. Answering the question is an exercise in subjectivity, so every individual’s answer is based on their aviation interests. Over the years I’ve developed a system, 3 Rs & U. To determine the most interesting airplanes, it has to be Rare, like the world’s only flying Douglas A-20 Havoc. 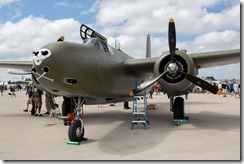 Or it has to be Renowned, like the B-52, which made its second trip to Oshkosh this year. 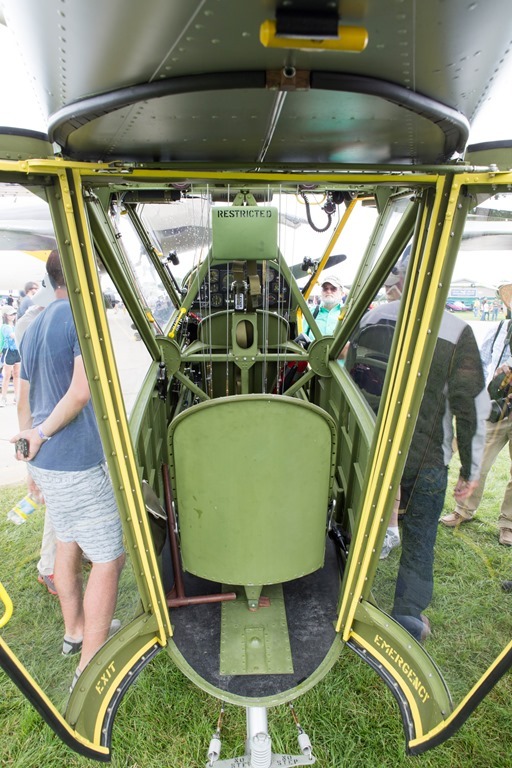 And it can be Resurrected, which put the renowned D-Day leading C-47 That’s All Brother, which Basler Turbo Conversions is now restoring for the CAF, ahead of two homebuilt designs from the 1970s. But surpassing all of these is any older aircraft that was previously Unknown to me after a lifetime consumption of everything aviation. 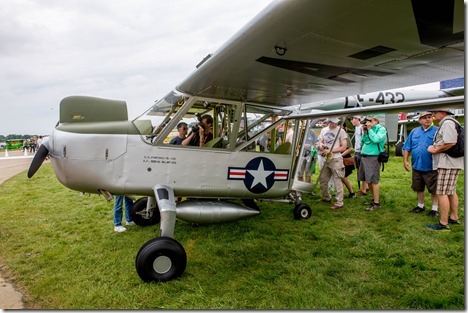 That makes the Boeing YL-15G Scout the most interesting airplane of AirVenture 2017. It is because of aviation surprises such as this that I really do love the Internet. 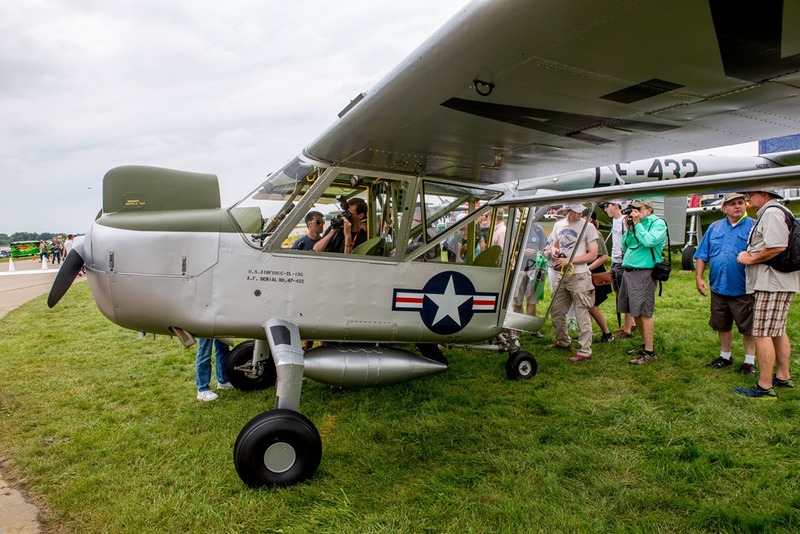 Hoping to expand its product line down from big bombers, Boeing built 12 L-15 Scouts in the closing days of World War II as STOL liaison and observation aircraft. With no post-war interest from the military, which was selling its leftover airplanes for pennies a pound, Boeing presciently decided not to offer the L-15, powered by at 125-hp Lycoming, to the civilian general aviation market. This entry was posted on Monday, August 28th, 2017 at 8:00 am	and is filed under Airports, Aviation History, Blogging, History, Military. You can follow any responses to this entry through the RSS 2.0 feed. Both comments and pings are currently closed. Hey, Scott!! Interesting article with the great pictures!! Hi Scott, thanks for your comments on our Boeing YL-15. My dad, Norm, worked on, & flew the L-15s when U.S. Fish & Wildlife operated them out of Lake Hood, in Anchorage, AK. When F & W sold them. He was high bidder on S/N 47-432 in February 1954. I was barely 2 years old then. It took me 13 years to restore N4770C, 2003 – 2016. My dad last flew his L-15 on Oct 15, 1966. 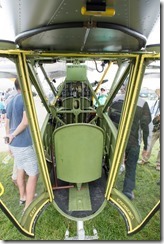 The engine had a bad valve, & the grade A cotton on the control surfaces wasn’t punching in the green. In 1970 I removed the top 4 windows covering the fuselage, trying to get her back in the air. Dad just never found the time to get it airworthy again. The Boeing sat on the bank of Spenard Lake, full of snow every winter, till dad died in 1994. I bought my two brothers shares of the Boeing, from dad’s estate. I was still finishing the restoration of my Luscombe 8F, then registered N1912B. So it was 2003 before I found the time to start restoring N4770C. 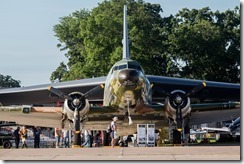 It had been my life long dream to fly this plane from the front seat, and to bring it to Oshkosh. It was worth it! I’m glad you enjoyed our rare bird. We plan to leave it at the EAA Eagle museum, on display for the winter. I should have it there by early October. We are looking for a new owner/ caretaker, at this point, for N4770C, a second wrecked airframe we own, (S/N 47-423, the first YL-15), and a large inventory of spare parts. We also own the Restricted Aircraft Type Certificate (#16) issued by the CAA to my dad in 1954.